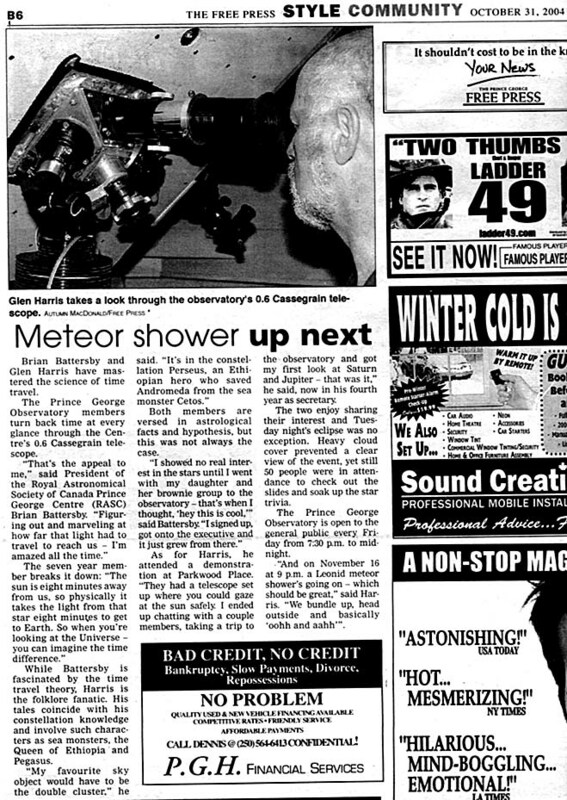 Overview:Announcement for the Leonid meteor shower 2004. Human interest piece discussing Brian and Glen’s involvement with the club. This entry was posted in 2004, Newspaper Articles on October 31, 2004 by glen_h.